For over two decades, Manhattan’s Classic Car Club has been providing members with exhilarating automotive experiences. Whether your idea of the perfect Sunday drive involves getting behind the wheel of a bonafide classic, or careening around corners at speed in the cockpit of the latest and greatest, they’ve got you covered. Up until recently, the club called Manhattan’s SoHo neighborhood its home, but with an ever growing member count coupled with an interest in exploring all that the world of motoring has to offer, the Classic Car Club has just relocated its headquarters to quite the swanky space on Pier 76. 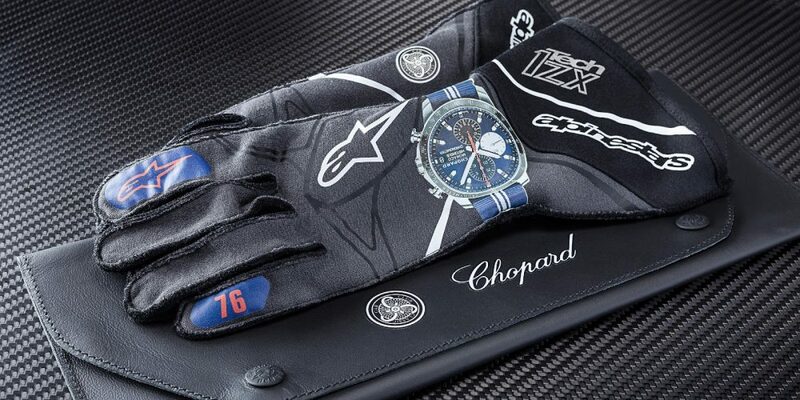 In honor of the move to their new waterfront home on the Hudson, the club has partnered with both Chopard and Alpinestars to create a commemorative timepiece and set of race-spec gloves—arguably the perfect accoutrements for that aforementioned Sunday drive of either variety. Let’s take a closer look, shall we? 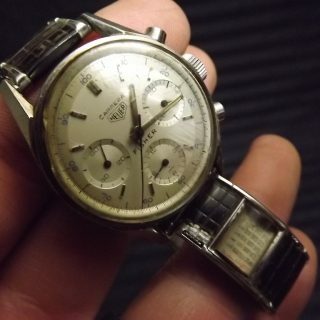 First, the watch. 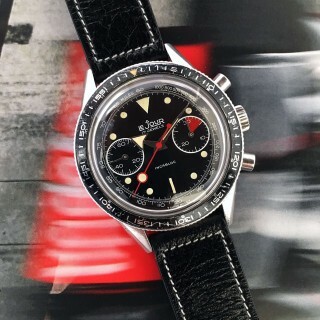 Through Chopard’s continued sponsorship of the famed Mille Miglia and Grand Prix de Monaco Historique, they’ve cemented their brand’s place within the automotive community, and in the hearts of part-time petrolhead watch collectors. 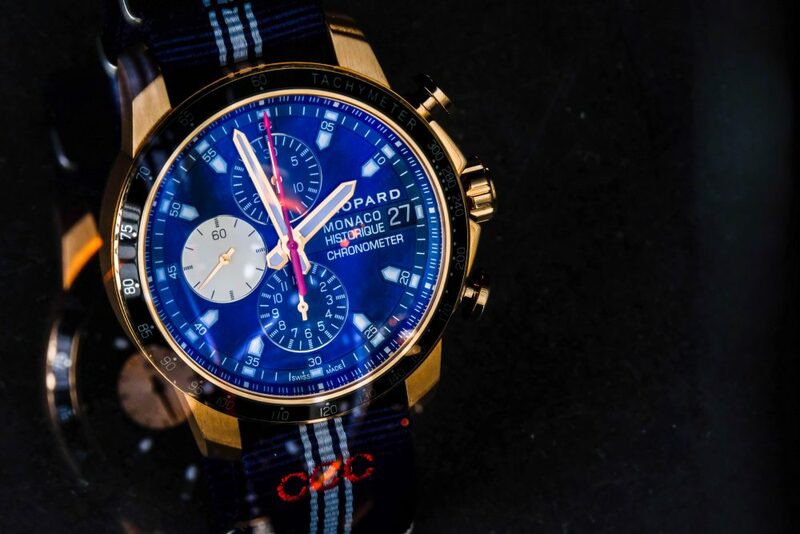 The limited edition piece in question hails from Chopard’s already established G.P.M.H. 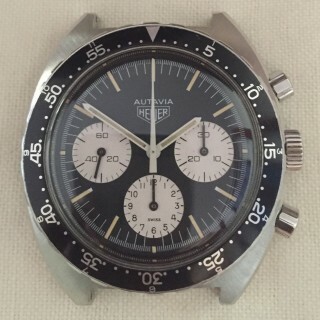 collection of chronographs, but given the occasion, it’s been modified to include a number of unique, tasteful details. 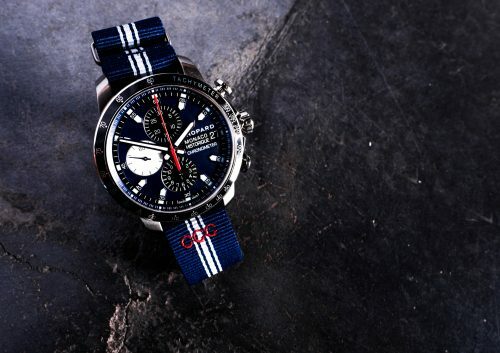 Namely, an all-new blue dial honoring the official American racing colors, a “CCC”-engraved case, and a custom-stitched NATO strap. Pretty sharp looking. For those looking for even further exclusivity, the watch is available in 18K rose gold in addition to the standard steel and titanium case variant. The gloves are based on a pair of Alpinestars’ FIA homologation standard-complying, race-spec Tech-1ZX’s, which certainly provide assistance when driving in anger. 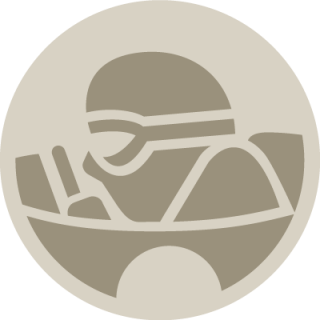 This is thanks to the incorporation of a number of innovative textiles, like Nomex and flame resistant cotton, which have afforded the Tech-1ZX’s their place in the minds of race car drivers across the globe. Much like the 44.5mm Chopard chronograph, the gloves have also been given a few finishing touches to commemorate the move to Pier 76. 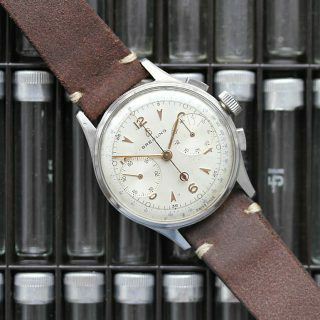 You’ll notice that in addition to the presence of the CCC’s logo, a befitting “76,” and a photorealistic graphic of the watch has been neatly applied to the lower portion of the gloves, allowing for your prized timepiece to always be in sight. These special edition offerings are now available at the Classic Car Club in Manhattan, but given their limited nature, it’s advised that you act accordingly if interested. 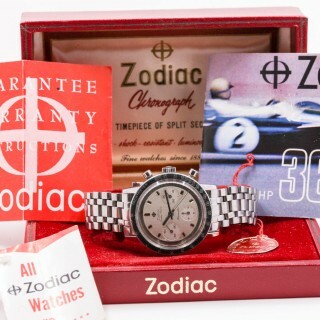 Both the watch and glove set look stellar, and we couldn’t think of a better way to celebrate the Classic Car Club’s latest move. That is one stunning watch. 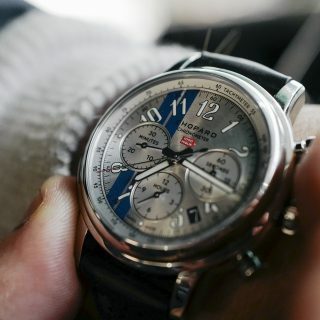 Big fan of Chopard watches especially the MM series.